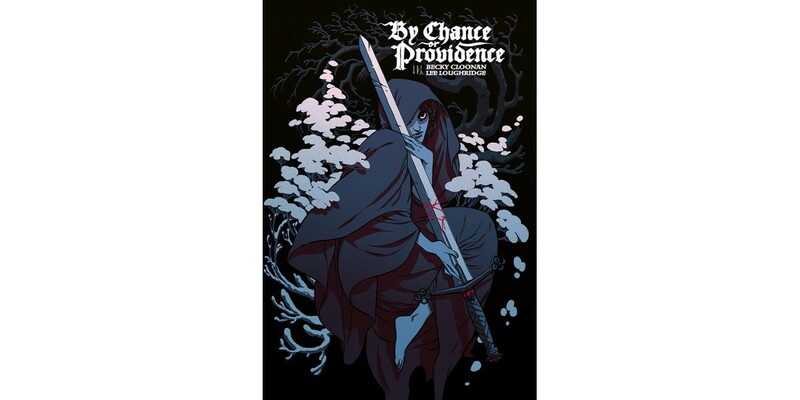 Acclaimed writer/artist Becky Cloonan (SOUTHERN CROSS, Batman, Gotham Academy) will release a trade paperback edition of her award-winning trilogy of short stories BY CHANCE OR PROVIDENCE this July from Image Comics. BY CHANCE OR PROVIDENCE contains Wolves, The Mire, and Demeter, with all-new colors by Lee Loughridge, as well as a sketchbook/illustration section. These stories cast a spell of hypnotic melancholy, weaving their way through medieval landscapes of ancient curses and terrible truths that will haunt you long after you've set them down. BY CHANCE OR PROVIDENCE TP (ISBN: 978-1-5343-0186-3, Diamond code: MAY170610) arrives in comic book stores Wednesday, July 26th and bookstores Tuesday, August 1st. The final order cutoff deadline for comics retailers is Monday, July 3rd. BY CHANCE OR PROVIDENCE TP is available for preorder via Amazon, Barnes & Noble, Indiebound, and Indigo.